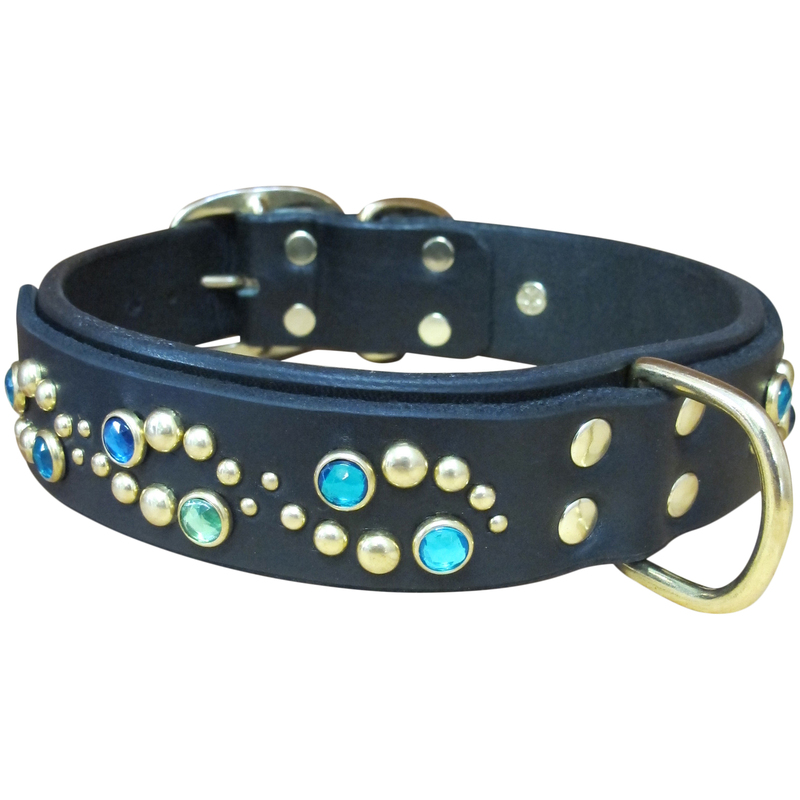 Round studs and rhinestones flow together to create a sense of movement and beauty. Truly one of our most eye-catching designs! 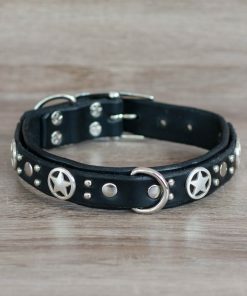 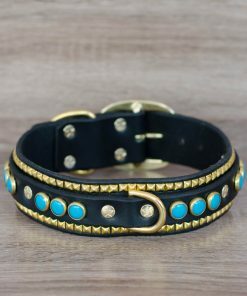 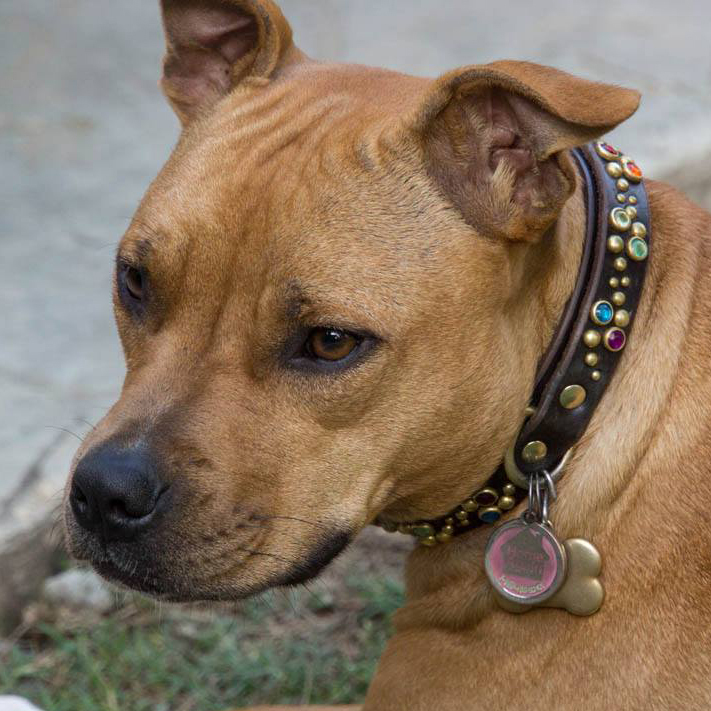 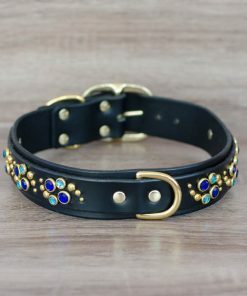 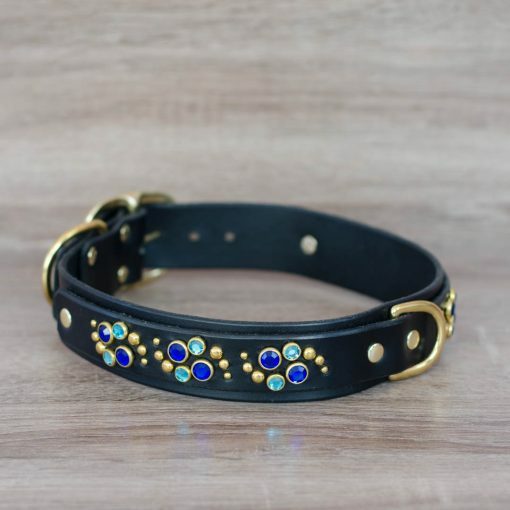 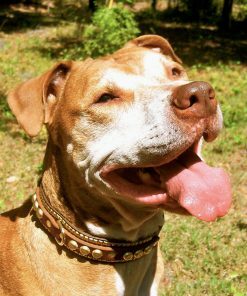 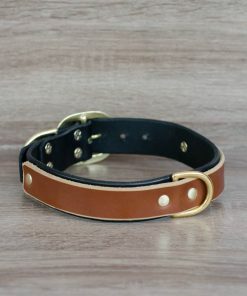 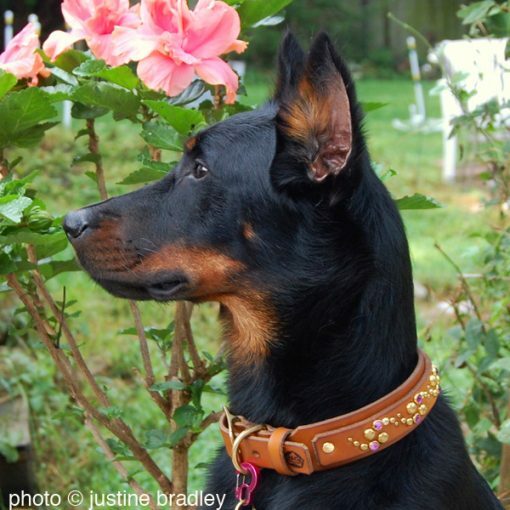 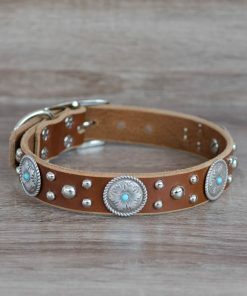 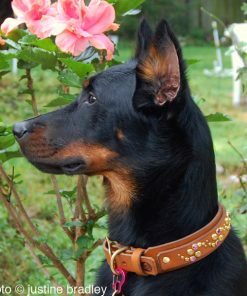 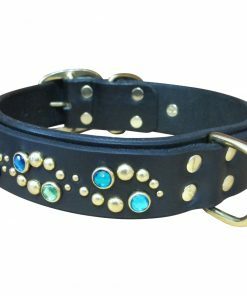 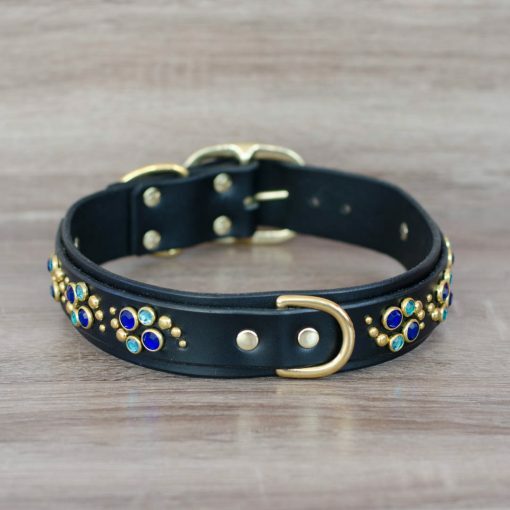 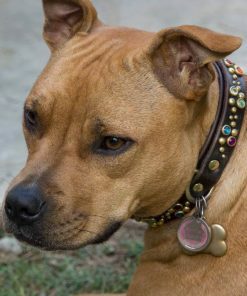 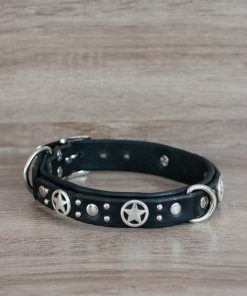 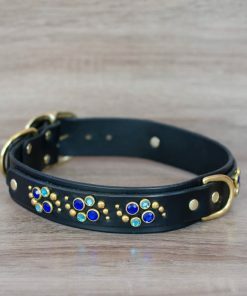 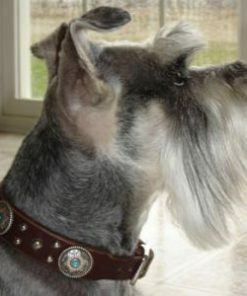 The Glow Deluxe is a double-layer collar that can be 1.25″ or 1.5″ wide, made of leather sturdy enough for the most playful of pups.